Den of Thieves (2018) | Movie News & Review | - Pop Movee - It's about MOVIES! ​The movie opens with a pre-dawn sequence involving an armoured delivery vehicle. From this moment, the story is playing with Crime genre convention and, in doing so, messing with viewer expectation. 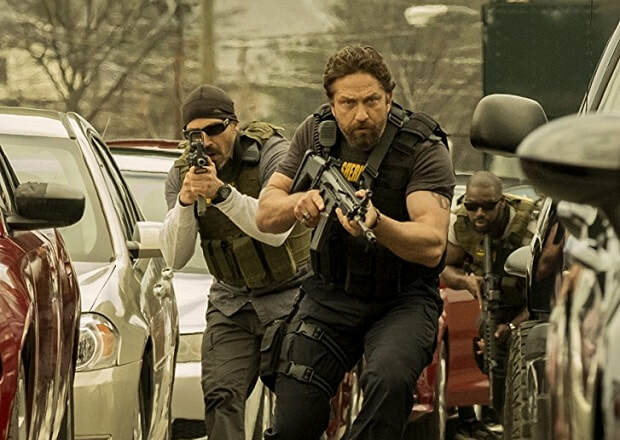 Without belittling the rest of the movie, if the intrigue and tension of the opening sequence had been maintained for its entire running time, DEN OF THIEVES would have been a five star event! It’s pretty clear who the bad guys are, but Gudegast manages to lure the viewer into their plan and make Schreiber’s Merrimen and his crew feel both authentic and sympathetic. He and fellow scribe Paul Scheuring’s story cleverly use the character’s backgrounds to paint them as sophisticated criminals who operate under a specific set of rules; innocent people don’t get hurt and law enforcement are only engaged if they draw their weapons. Gudegast also throws doubt in the viewers mind by immediately establishing Butler’s O’Brien as a lawman who seems better suited to the Wild West of America’s past. His ways are unorthodox by modern standards and it’s clear he’s on the radar of the Police who are in charge of maintaining ethics and making sure the “Cops” don’t become the bad guys. Gudegast makes a real point of establishing O’Brien’s modus operandi. In an early scene, while illegally interrogating a suspect, O’Brien takes great pride in threatening the handcuffed man by telling him that he - O’Brien - and his team of Deputies ARE the “Bad Guys”! 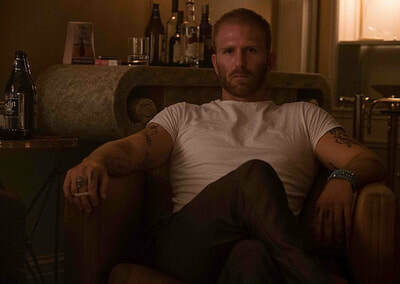 Besides Butler’s O’Brien, the other highlight is Pablo Schreiber’s Ray Merrimen. Schreiber is one of those actors that people know they’ve seen him in something, but just can’t put their finger on what movie or TV show it was. ORANGE IS THE NEW BLACK, AMERICAN GODS, LAW & ORDER: SVU, WEEDS, THE WIRE… He’s had recurring roles in all of them scored an Emmy nomination for his role as George ‘Pornstache’ Mendez in ORANGE IS THE NEW BLACK back in 2015. It’s the sign of a genuinely talented actor that they can disappear into a character so far that they are unrecognizable from one role to the next, but Schreiber does it extremely well. In DEN OF THIEVES, he’s a lot leaner and muscled than previous roles and this goes some way to explaining why it’s hard to pick him as Merrimen, a professional criminal who’s determined to pull off a heist big enough to allow him, his crew and their families to disappear into anonymity for the rest of their lives. Butler and Schreiber are well supported by their colleagues, but only O’Shea Jackson Jr., as Merrimen’s driver Donnie, could be considered a genuine co-star. Jackson Jr. plays an important role throughout the film’s 140 minute running time, as he finds himself caught between a rock and a hard place on more than one occasion as O’Brien’s team circle Merrimen and his crew. Behind the scenes, DEN OF THIEVES benefits greatly from the work of Oscar-winning Film Editor Joel Cox. Cox worked with Clint Eastwood for many years and won his Academy Award for Eastwood’s highly-acclaimed 1992 revisionist Western UNFORGIVEN. More recently, he has worked with Denis Villeneuve and shared editing duties on AMERICAN SNIPER. For DEN OF THIEVES, he shares credit with his son David Cox and Nathan Godley, who worked with Cox Sr. as an Assistant Editor on Villeneuve’s PRISONERS. 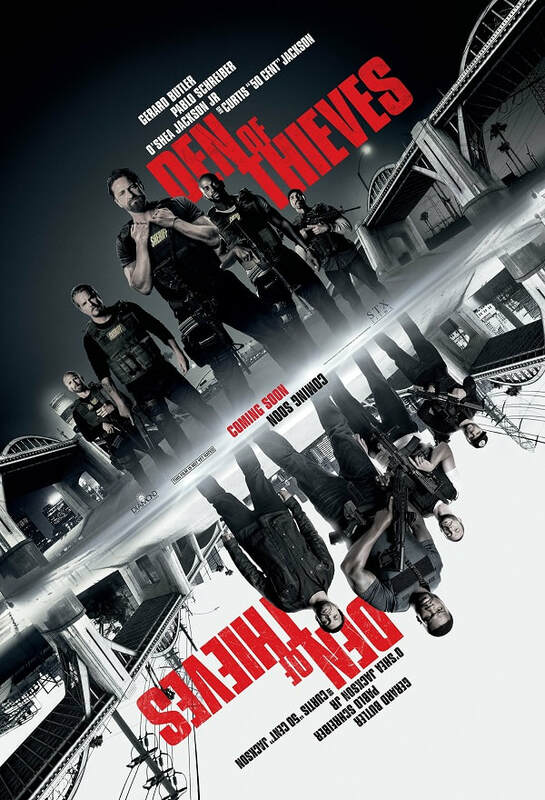 The trio’s combined work on DEN OF THIEVES is excellent, creating the variable pacing needed for both the set pieces and the character exchanges to create tension and drama for the viewer. Their editing creates a documentary feel to the film which is reinforced by Terry Stacey’s cinematography. 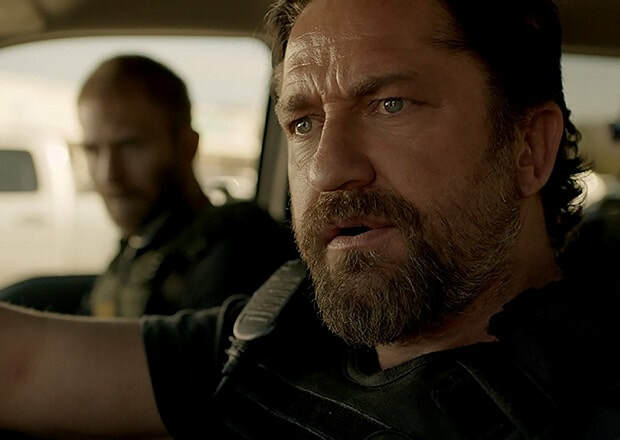 DEN OF THIEVES utilizes a lot of Steadicam photography, allowing Gudegast and Stacey to keep pace with the action as it unfolds. The benefit to the viewer is that they feel as if they are part of the action, not just a distant observer of staged events. That is the success of DEN OF THIEVES as a movie. The viewer feels close to the action and, therefore, close to the story. The film’s use of visual effects is limited and its reliance upon genuine action works to its advantage, as well as the viewer’s. Christian Gudegast has created a great crime drama that has everything fans of the genre would want on the bucket list but plays broadly enough to be of interest to the more casual moviegoers looking for a well-crafted, gritty crime drama.